Update: Thank you to everyone who has taken the survey! The survey is now closed – congratulations to Janine from West Yorkshire who won the prize draw! Got a minute or two to take a survey? We’re gathering some data for a blog post, and I’d love it if you could help out! The survey is very short (it’ll probably take less than a minute to complete!) 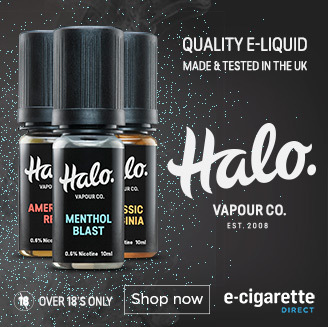 and as a thank you we’ll also enter you into a prize draw to win an Aspire Mini Nautilus and 10ml bottles of our newest Halo UK e-liquid flavours, Passion Fruit and Black Jack. Ready? Click here to take the survey. Take A One Minute EU ECig Survey For 3 Chances to Win 4 Great Prizes! January Vaping Sale & WIN 6 Months Supply of E-Liquid or Cartridges! Take our black market cigarette survey and win a prize!